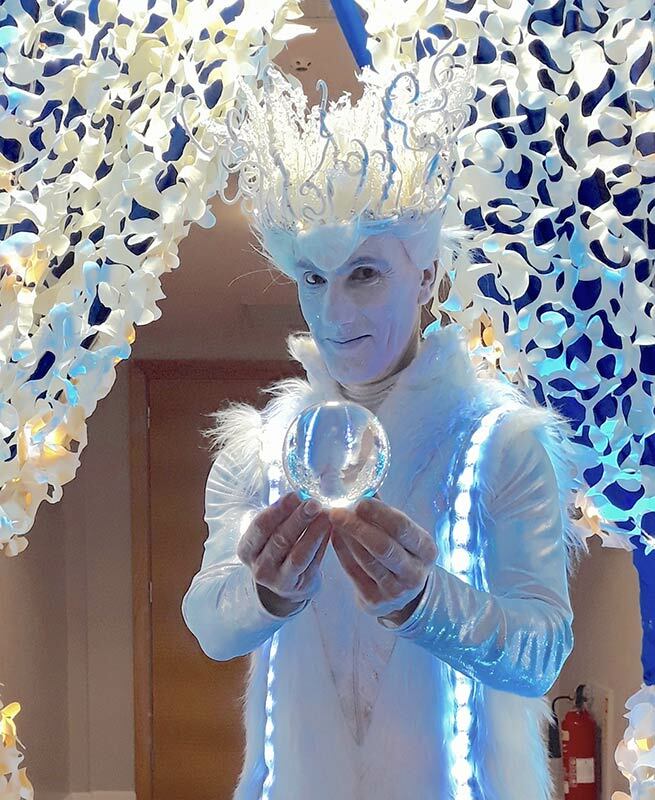 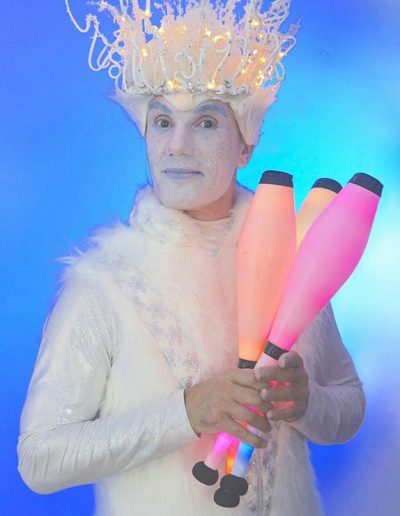 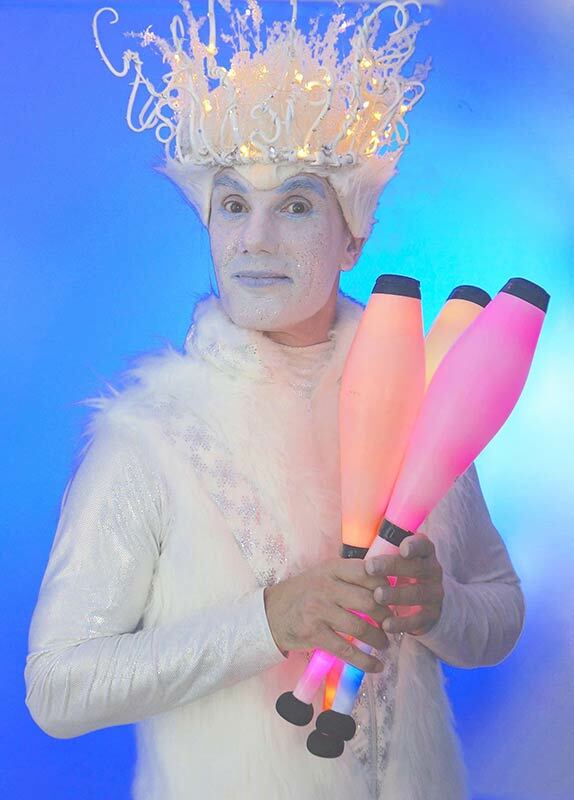 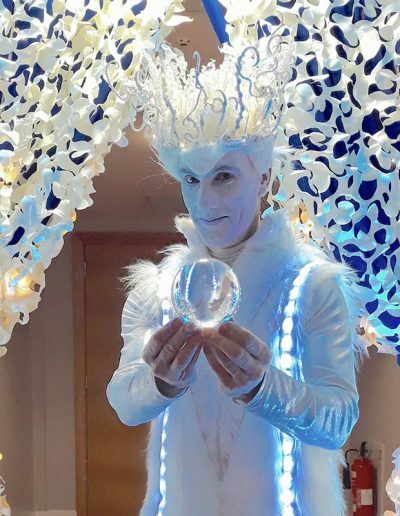 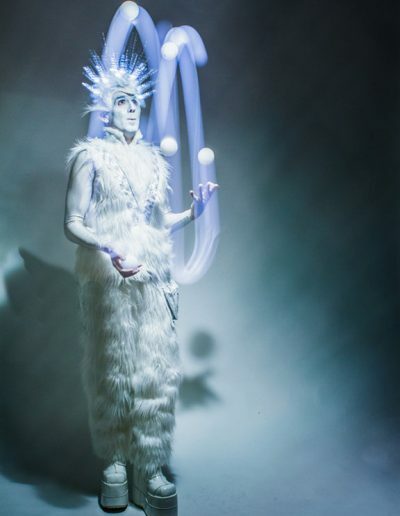 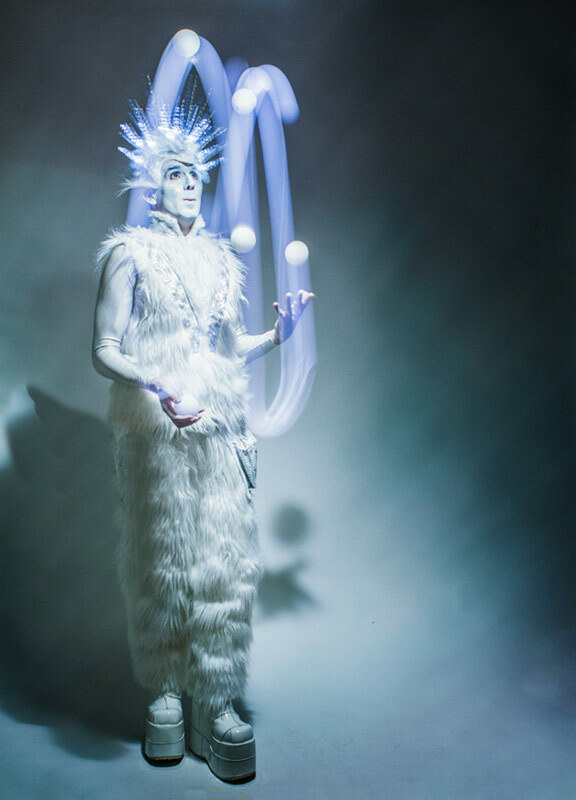 The Ice People are expert Contact Jugglers wearing winter wonderland type costumes with LED lights. 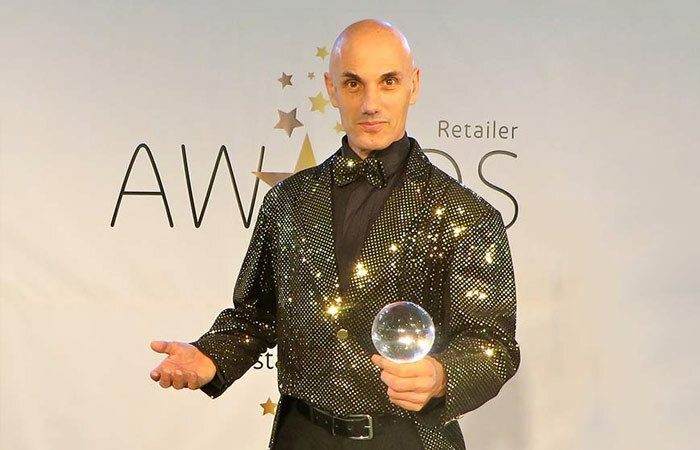 The crystal balls are beautifully manipulated in an interactive, amiable style. 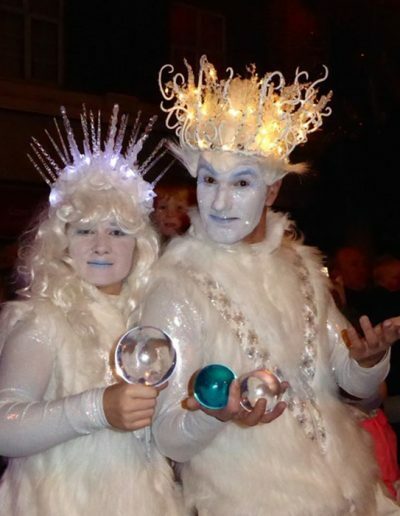 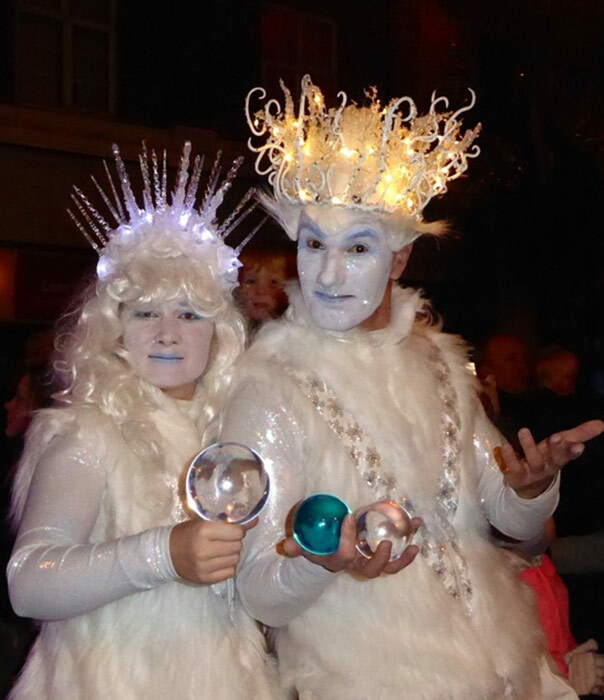 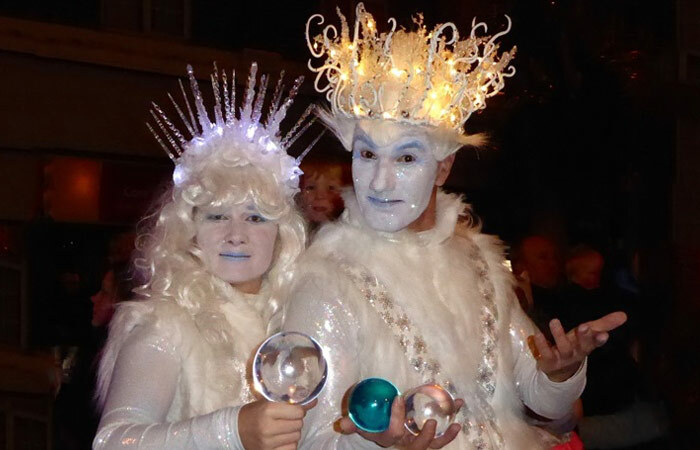 If you are looking for an Ice King and Ice Queen or Jack Frost and Jacqueline Frost…the Ice People are a perfect fit! 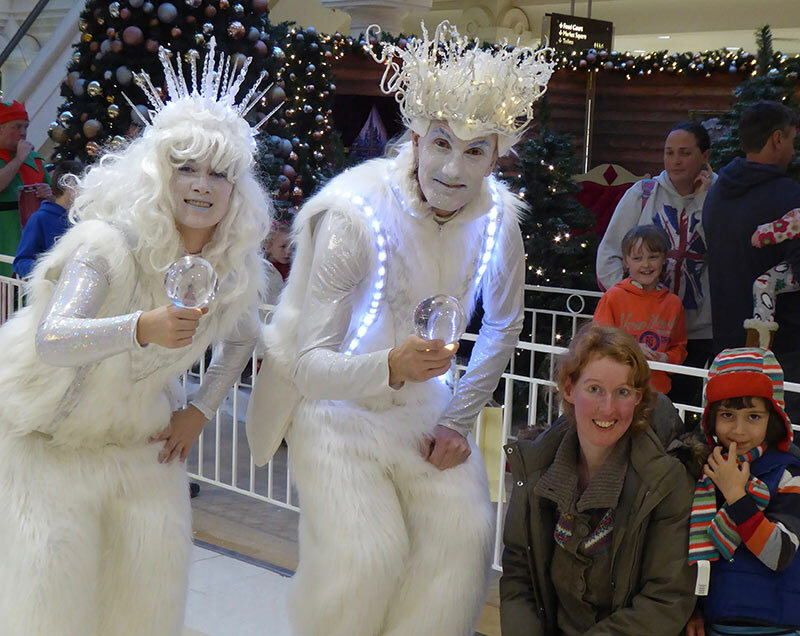 Up to 1 hour meet and greet plus two short walkabout sessions.